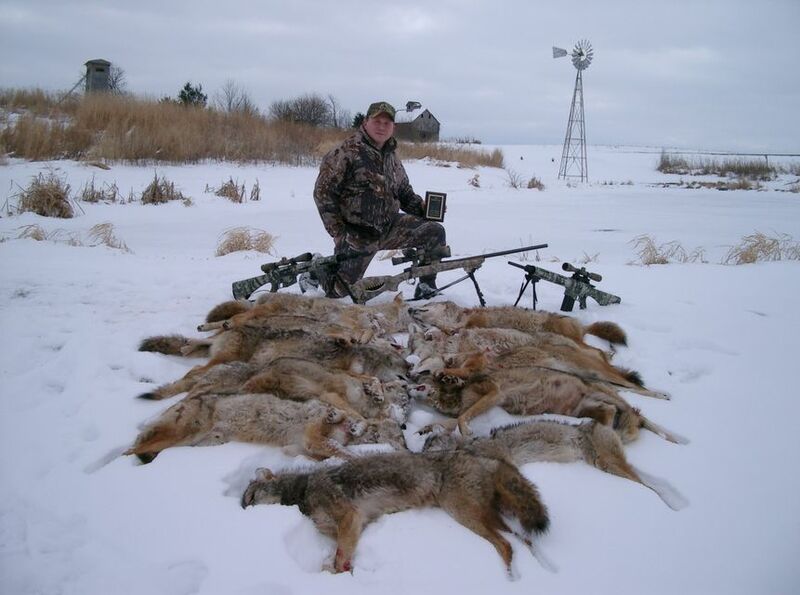 Entered local coyote hunting contest. Using a remington r25 .243, browning gold shotgun with 3" dead coyote T shot, and a remington 700 .22-250 with barrett bors system 52gr amax. My results are as you see. 11 dead in 24 hours. What a day.